In a stunning development, the world’s largest silver producing countries reported big declines in recent months. In a stunning development, the world’s largest silver producing countries reported big declines in recent months. This was surprising because the top two producers, Mexico and Peru, stated positive growth in the first two months of the year. 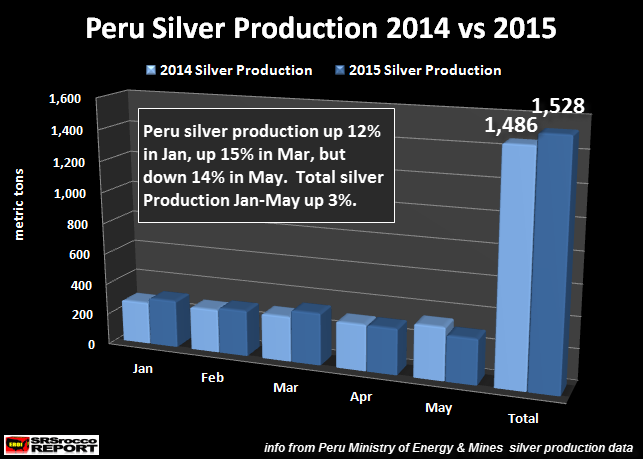 However, silver production from these two countries reversed this trend by declining in April and May. 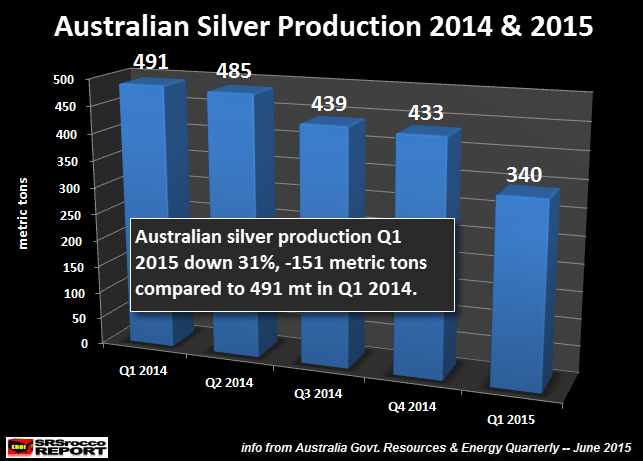 As we can see, Australian silver production declined from 491 metric tons (mt) in Q1 2014, to 340 mt Q1 2015. This was a 151 mt decline (31%) year-over-year (y.o.y.). I tried to contact the Australian Government Department that provides the Resources & Energy Quarterly Reports on this figure, but did not receive a reply. 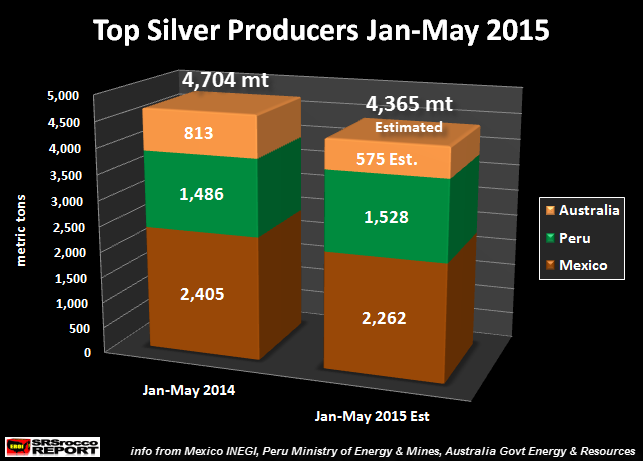 You will notice silver production started to decline in Q3 2014, but fell off a cliff in the first quarter of 2015. Queensland, Australia suffered the largest declines, falling from 381 mt in Q2 2014, to 246 mt in Q1 2015. Again, I am reporting the data put out by the Australian Government. I will put out an update when their Q2 figures come out. If they still show the 340 mt (or figure close to it), this will not be good news. Even though production was up 11% in the first quarter, when we factor in the large 14% decline in May, total production for the first five months was only up 42 mt or 3%. 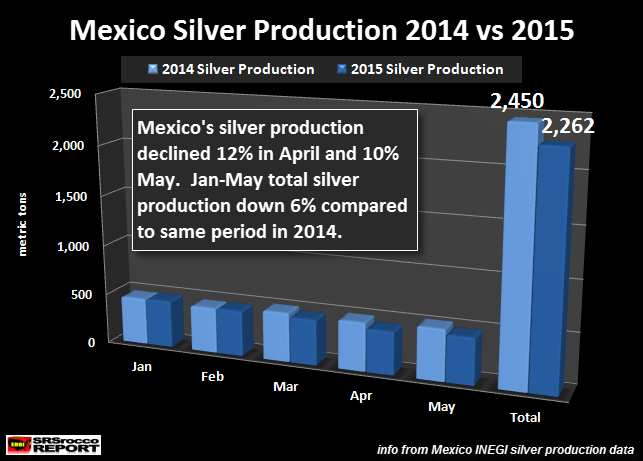 This same trend (to a lessor extent), was also experienced in Mexico… the world’s largest silver producer. Total estimated silver production from these top producers in the world would be down from 4,704 mt (Jan-May) 2014, to 4,365 mt in 2015. Again, I say estimated because I don’t have Q2 data for Australia. I assumed a small build in production in the second quarter and estimated Australia’s silver production for the first five months of 2015. If my assumption for Australia’s Q2 silver production is correct (or close), then total silver mine supply from these top producers will be down 339 mt (7%) compared to the same period last year. This is a lot of silver…. nearly 11 million oz. Falling silver mine supply from the world’s leader producers (China is ranked 3rd, no public data released) comes at a time when silver investment demand has gone into HIGH GEAR. How high? Well, we know the U.S. Mint sold more Silver Eagles than ever in the first half of the year. Furthermore, July’s Silver Eagle sales which reached 5,529,000 were even higher than June (4,840,000). Not only did their total precious metals sales double from June 16-July 31, First-Time orders increased 365%. 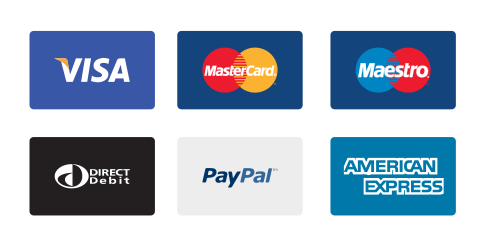 I would imagine this was similar through-out the precious metals retail industry. Precious metals investors need to realize there are very few real STORES OF WEALTH to own in the future. These stores of wealth are based on stores of ECONOMIC ENERGY. The world is about to witness a huge collapse in the Great U.S. Shale Oil Industry. Watch for fireworks to start in Q3 and pick up speed in Q4 when the shale oil companies will have to revalue their reserves due to much lower oil prices. This should start to speed up the peak and decline of lousy global unconventional oil production. Falling oil production will be DEATH on most PHYSICAL & PAPER ASSETS. 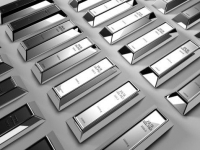 This is the most important reason to own gold and silver. More on this in future articles and reports.